In this special episode we have an update from the Star Trek Convention in Las Vegas from August 2018. 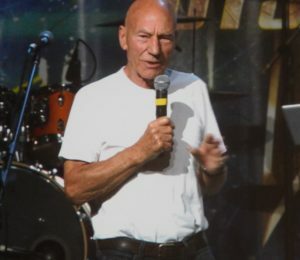 Terry travelled to Nevada with his wife Zoe and were in the room when Patrick Stewart made that announcement about the return of Jean-Luc Picard. We discuss that plus the other highlights of the convention in this special edition of Whom Pods Destroy.